If you know of a paddlewheeler in need of a home, or if you're searching for a boatto acquire, please send the information to Steamboats.com and we will post your noticehere upon receipt. This log goes back in time, with newest entries at the top and oldest entries at the bottom.Reload for the latest news. Lately I've been getting a lot of requests from people to buy steamboats,or to build steamboat models. Soon I will build a whole new center at thissite for steamboat exchange. This is really needed. You should see my mailbag! Also, a new museum exhibit about the Julia Belle Swain is in the works. It'sjust a matter of time. Visitors may ask, why don't things happen fasteraround here? The answer is - this is just a one person deal. I have no"staff" to do things for me. Plus, I must fit this hobby in around a growingreal estate career. So, whether you want to buy a house or a steamboat -this is the place!!! Our Queens are planning a season of history crusies, including lectures byleading Civil War historians and authors. Read the press release from theDelta Queen Steamboat Company click here. The Delta Queen Steamboat Company released the new 2006 steamboat scheduleon Feb. 1.Click here to read the full news release. 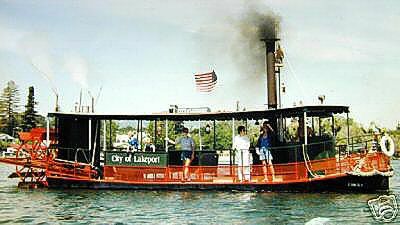 It is with great sadness that I must let you know that we have lost a very special member of ourSteamboatin' family and the Delta Queen Steamboat Company. ÊBrian O'Neill, passed away lastevening, doing what he loved most, playing piano at the Plimsoll Club in New Orleans, wherehe suffered a heart attack. ÊBrian entertained us on the steamboats for many years and alsoworked shoreside, creating musical arrangements, shows and entertainment for the boats, as wellas the music scene here in New Orleans. ÊÊThe joy and pleasure of Brian's musical talents willlive with us forever. ÊPlease keep Brian and his wife Missy O'Neill, another longtime Steamboater,in your thoughts and prayers during this difficult time. Warren Stichtenoth, graphic artist for the Delta Queen, passed away Nov. 26, 2005. Read theCincinnati Enquirer article about his life:click here.Visit the exhibit of his artwork at this site:Online Steamboat Museum. "From 1943 to 1945, he was a private first class with the Army's Company C, 310th EngineerBattalion, 85th Custer Division. He supported the infantry of the 339th 'Polar Bear' Regiment. "As a combat engineer, he helped build bridges and roads, according to his son, Craig Stichtenothof Katy, Texas. "Mr. Stichtenoth attended the University of Cincinnati on the GI Bill . . .
"He went on to a career in commercial art and advertising, becoming an artist of note. His most famous works were of Cincinnati and its skyline, the Delta Queen and Kentucky scenes." The Delta Queen, Mississippi Queen, and American Queen are safe, and back in operation.Read the latest post-Katrina news from the steamboat company,click here. "I am interested in purchasing a Paddle Wheel boat with approximately 50+ state rooms. I would like to know if you can guide me in the rightdirection? Condition is not a priority.Thank you for your help,Donna"
A message in the wake of the disaster, posted 08 Sept. 2005. Our great American city New Orleans and her people, and the people of neighboring towns inLouisiana and Mississippi, andsix additional states, just went through what is perhaps the mosthorrifying episode of American history. Maybe the Civil War was worse, butnone of us alive today were there, so we can't compare it in any logical sense.The most disturbing thing for me, persoanlly, was the sight oftens of thousands of New Orleans residents stranded for four, and in some cases sixdays. How could that happen here? The pictures are burned into theAmerican consciousness and the world consciousness. Ten thosuand or more people probably died; millions of lives will never be the same.The rebuilding effort will costs billions. Plus, with unchecked global warming, catastrophicweather events will become more common as sea levels rise and water temperatures increase. With the imminent approach of the four year anniversary of 9/11, I invite you to join mein a series of prayers I posted at my other site.9/11 PrayersThat's about all we can do at this point is pray. If you are not a religious person,please spend some time contemplating the heart of humanity and your role in it. "Nori - We are trying to determine the origins of a Stern Paddle Wheeler under water wreck site that lays 30 miles off shore from Naples, FL. In anattempt to get more information about this wreck I have developed a web site to assist in disseminating current site information. The site is:Contrails.com/PaddleWheelThe web sites asks a number of questions that may be answered by members of your association. I would greatly appreciate it if you or any ofyour members would send me any information they might have with regard the wreck seen in this site." Ed's. note: If you can offer information or advice, please contact David Brink(email) or Steamboats.com. "hello,i have a 18 FT Wooden Clinker built launch Built by Dickies Of Tarbert Lochfyne circa 1965.it is angling, exellent seaboat. Engine is a Yanmar 3 gm fitted with lewmar windlass anchor and sail reluctant sale.I want to sell it for 2300eurothe price also include the shiping fees. i hpoe that you will like to buy it.I also have a jet that i want to sell for a give away price." If you would like to contact Mory,click here. "I am writing from Lima, Peru in South America.I am interested in buying a river boat. The boat will operate in the Amazonriver, using the city of Iquitos as its headquarters. 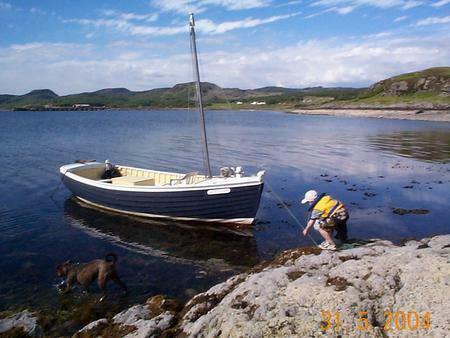 I will like to startwith a small boat and build suites for an overnight journey." If you know of a boat for sale, please contact Steamboats.com(contact info. click here). Great American Journeys Announces New ItineararyIf you're planning a trip to the Northwest, check the press release from Great AmericanJourneys - posted at this site - click here. FOR SALE $27,500 REALLY SPIFFED UP... OR $ 15,000 AS IS.. Click here for details. Oxford Film & Television of London (Channel 4) seeks subjects for a two hour documentary about the renewal of British industrial ingenuity in far-flung corners of the globe. Their producer, Marc Tiley, will consider any big restoration or maintenance projects outside the UK. For example: old British-style trains, engines, boats, bridges - or something completely different. Marc is looking for anything with a British connection. The production will begin this year, so they are looking to join (or be a catalyst for) an ongoing project that has a great history as a spectacular back drop. The presenter, Claire Barratt, is an engineer. able to get involved in the nuts and bolts of things. My name is Philippe Delaunoy and I come from Belgium. For the past 4 years, I have been trying to secure the preservationof the last WHITE STAR LINE steamship still afloat : the ss NOMADIC. The NOMADIC was built by Harland & Wolff shipyards (Belfast) in 1911 as a First & Second class tender operating inCherbourg. The NOMADIC served the TITANIC on 10th April 1912 and many other transatlantic superliners such as theOlympic, the Queen Elisabeth, the Queen Mary, ... The NOMADIC had a commercial career in Cherbourg from 1911 to 1968.She was then transformed into a floating restaurant on the Seine River in Paris. The NOMADIC is now for sale and she could be sent to the scrapyard if no buyer is found. At the present, a Belfast basednon-profit organization 'Belfast Industrial Heritage Ltd' wants to bring the NOMADIC back to Belfast, have her restored toher fromer glory by the shipyard that built her and 'use' her as the centerpiece of the future theme park 'Origin' to be builtin Belfast and dedicated to the commemoration of shipbuilding in Belfast. The average budget of the projet is 2m pounds. Once moored in a British harbour, the NOMADIC will be listed on the Historicalship Register and it will open right to subsides. Belfast Industrial Heritage (BIH) is 'only' looking for money for the purchaseof the ship and launched an international fundraising campaign 'NOMADIC APPEAL'. I take the liberty to contact you in order to know if you could help us preserving the NOMADIC - the last direct floating linkwith the TITANIC and the ultimate ship of the White Star Line fleet. You can, of course, send money but also helping us byforwarding the present message to everyone you think could make a donation or provide help. Tel. +44 02890458845 or (mobile) 07851018376. "I have a Currier and Ives originial lithograph from 1845 of a woman named Mary. What's interesting aboutthislithog! raph is in the background is a picture of a paddleboat named Swallow. Since I don't collectinformation aboutboats, I would be interested in selling this lithograph if anyone is interested in it. It seems like it wouldbe of historical significance." Email for more information - click here. "I am interested in selling the steam calliope parts I acquired while working at Disneyland. In 1955 Disney bought 2antique steam calliopes and salvaged them into one. When the calliope was converted to compressed air it was sent toFlorida. I have what remains of the steam parts, which are: a mixture of 18 Thomas J. Nichol calliope whistles, onemanifold for a 20-note instrument with 19 tracker-style valves and a 20-note brass keyboard. A boiler is available,being a Gabriel on 1955 origins and propane fired, and a steam pump. "I was wondering if anyone you know would be interested in the parts. I have pictures if you are interested. The ThomasJ. Nichol whistles have been valued at around $45,000.00." Here's an index of past "Latest News" pages. Latest News (SSHSA) - Press release for the SteamshipHistorical Society, announcing their Fall 2003 meeting. Latest News (SVR) - Service records of Steamboats.com. During theyears 2001 - 2003, Steamboats.com went off line a lot. Usually it wasthe domain host's fault, but we also did things to make the site go off line. See the servicerecords here. It was like hitting a sandbar about once a month. Latest News (ACV) - Spring 2002 articles about the bankruptcy ofAmerican ClassicVoyages, former owners of the Delta Queen, Mississippi Queen, American Queen, and otherpaddlewheel boats. Also, an article about Delaware North Companies, a Canadian entertainmentcompany that bought our boats and kept them based in New Orleans.Latest News-aq - January 2003 press release announcing that the American Queen willreturn to the Mississippi after refurbishing, and will race the Natchez. Latest News (GARJ) -January 2005 press release fromGreat American River Journeys announcing that the Columbia Queen willreturn to operation on the Columbia, Snake, and Willamette Rivers following a three year hiatus.